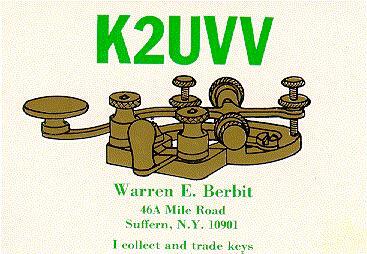 WARREN BERBIT - K2UUV - Is an active Amateur Radio Operator who has been collecting telegraph keys for well over 20 years. 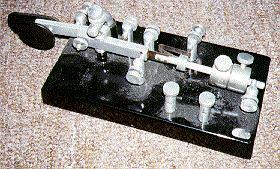 During that time he has acquired some exceptionally rare and unique keys such as the left-handed MacElroy bug shown in the following photographs. 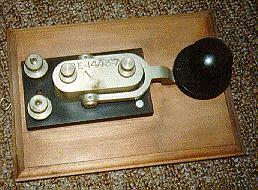 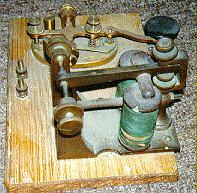 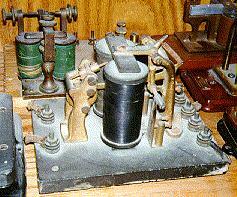 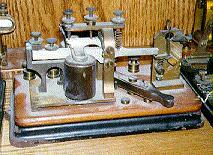 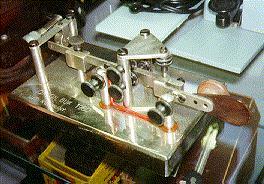 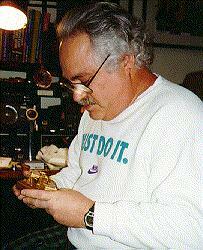 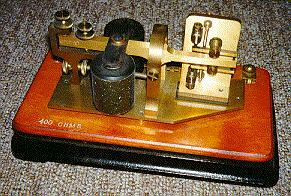 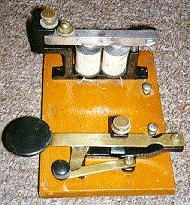 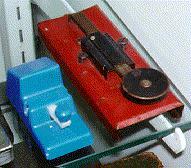 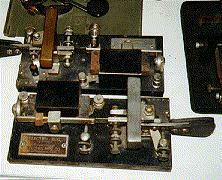 Warren has never sold a telegraph key but has actively enlarged his collection through purchases and trades. 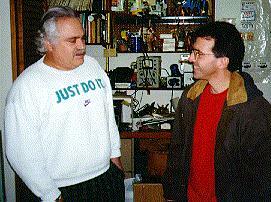 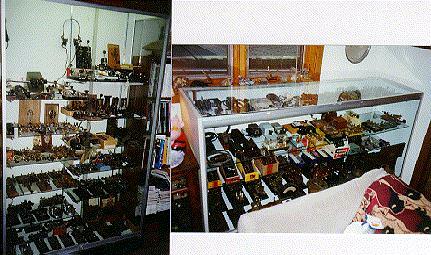 The following photographs show samples of his collection. 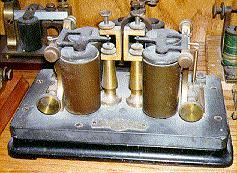 Click BACK to Return to the Main Museum / Telegraph Web Page. 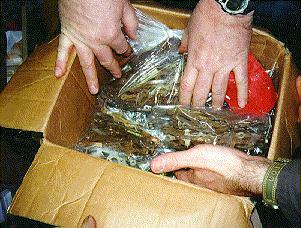 Click on photographs then click "GO BACK" to return to text. 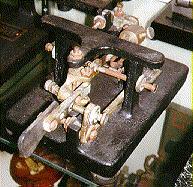 FIVE HUNDRED BUNNELL TRIUMPH KEY LEVERS (used for spare parts): (26KB)Interestingly, none of these levers carries the trademark or BUNNELL stamping. 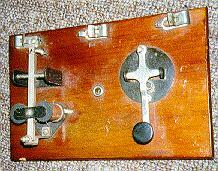 This shows that these marks were stamped on the levers AFTER they were shaped. 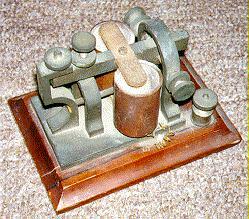 Click BACK to Return to the Museum / Telegraph Web Page.